This holiday seasons, celebrate the festivities with your family, friends and loved ones at Keraton at The Plaza, a Luxury Collection Hotel, Jakarta. 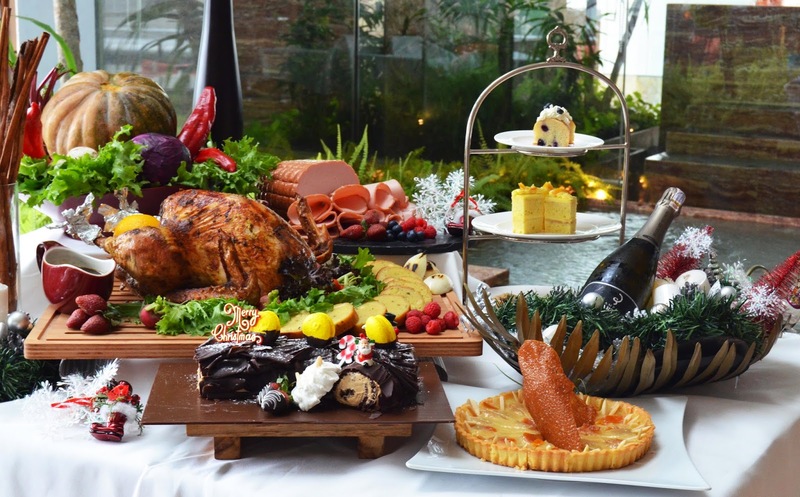 Indulge in a lavish Christmas Eve Dinner Buffet on 24 December 2014 from 6pm to 10.30pm and Christmas Day Brunch with live entertainment at Bengawan restaurant on 25 December 2014 from 12pm to 3pm at IDR 595.000++ per adult, inclusive of an endless flow of non-alcoholic beverages, and IDR 1.200.000++ per adult, inclusive of an endless pour of Billecart-Salmon Champagne, wines and cocktails. Or enjoy a relaxing afternoon at Keraton Lounge with a leisurely Christmas afternoon tea at IDR 295.000++ per set for 2 persons from 3pm to 6pm. Revel in the glory of New Year’s Eve and enjoy the exciting live entertainment throughout the dinner buffet and countdown to welcome the New Year at IDR 995,000++ per adult, inclusive of an endless flow of non-alcoholic beverages and IDR 1.500.000+++ per person, inclusive of an endless flow of alcoholic beverages, excluding Champagne (Champagne selection is available on request). Indulge in the most elaborate seafood station with caviar, oysters, Alaskan king crab and enjoy our live action station grill with foie gras, Kobe beef, Maine lobster and Australian baby lamb. Not to be missed is our Chef’s Mexican section, along with an extensive Indonesian and International buffet selection from 6pm to 12.30am. Welcome the New Year with a leisurely Brunch from 12pm to 3pm, featuring a wonderful selection of Chef’s specialties and International delicacies at IDR 595.000++ per adult, inclusive of an endless flow of non-alcoholic beverages, and IDR 1.200.000++ per adult, inclusive of an endless pour of Billecart-Salmon Champagne, wines and cocktails. In addition to the premium seafood and live grill station, savor the Chef’s specialties of roasted turkey with all the trimmings, beef bourguignon, chicken coq au vin, lamb cassoulet, salmon coulibiac, along with our authentic Mexican corner and a wide selection of International buffet. End on a sweet note with a variety of delectable desserts. Feast yourself with irresistible treats perfectly prepared as special gifts to share the happiness of this joyful season. Choose your favorite from our selections of 3 exceptional hampers: White Christmas Hamper at IDR 1,000,000 net, Grand Deluxe Hamper at IDR 1,950,000 net and Keraton Hamper at IDR 2,950,000 net, featuring premium products such as Fleur de Sel with Caviar “Sturia”, Truffle Honey, Truffle Oil, Luis Felipe Edwards wine and KAKOA chocolates.